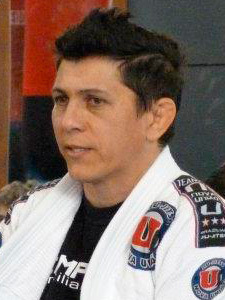 Successful coach founder and headcoach of Frota Team Nogueira. 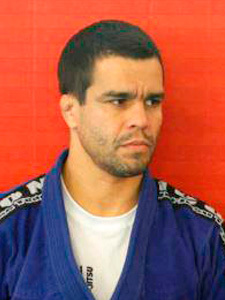 Augusto started training BJJ in 1997 with Admilson Brites, a black belt under Royler Gracie. After years of practicing and compeating, he got his own black belt from the legendary Minotauro Nogueira in 2005. Anderson Pereira was only five years old when he started with Judo, an art in which he got a black belt at the age of 19. Already a couple of years earlier he had begun to train Brazilian JiuJitsu to improve his abilities in ground combat (Newaza in Judo). Twelve years later, at the age of 27, he had the honour to get his BJJ black belt from Master Ze Marcello (World Champion / European and Pan American Champion). Anderson is an MMA fighter as well. 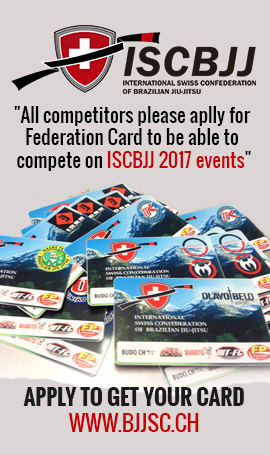 In charge of the Kimura Nova União team in Switzerland and of the Nova União Team in Europe. It was an ex director of the FFJO (Federaçao de Jiu-Jitsu Olimpico) in the North Est of Brazil. Robson is an black belt with two degrees and his professors are the famous coaches Jair Lourenço, André Pederneiras and Alexander Wandell. A summary of his results : double world champion (Rio de Janeiro 2001- Bahia 2004), double european champion (Lisboa 2008, 2009), quintuple champion of the North – North Est, etc.He lives in Switzerland from 2008, he manages the Kimura Nova União Team in Swiss and France, gives the lessons of BJJ-MMA, referee recognized by the IBJJf, gives seminars, organizes and participes at the work of tournaments, etc.